Who doesn’t like a big bumper book of gardens? Well, me for one. And if you do too here’s a fine portrait of 25 London gardens. “Open House and Open Garden days have become a regular fixture of our annual calendar and London’s gardeners are twice blessed living in one of the world’s most vibrant and verdant capitals. In Great Gardens of London Victoria Summerley, Hugo Rittson Thomas and Marianne Majerus collaborate to unearth the most fascinating stories of plants and people inside London’s most exciting garden spaces, gaining extraordinary access to the finest gardens around the capital, many rarely or never open to the public. While some of the gardens are strictly private others regularly open to visitors – all can now be savoured and enjoyed as Great Gardens of London opens the gates to more than 25 traditional and quirky capital gardens, delightfully themed by chapter and all accompanied by stunning photographs, revealing the designer’s influences, providing an insight into the passions and fashions of modern gardening where any green space is cultivated and confirming you can find an oasis on every piece of dry land the city has available. 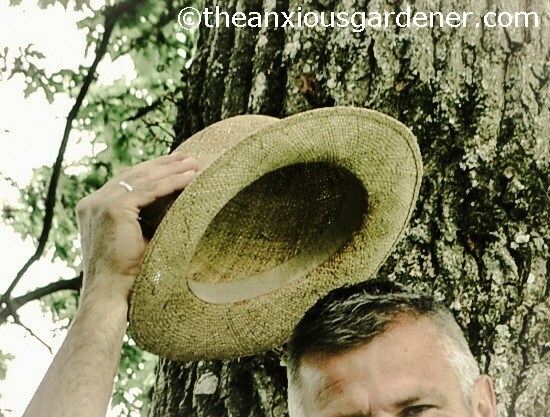 (if you don’t do so already) follow ‘The Anxious Gardener’ blog; follow me on Twitter or like The Anxious Gardener Facebook page. The relevant follow buttons are top right of this page. The competition will close at midnight on Sunday 1st November 2015. 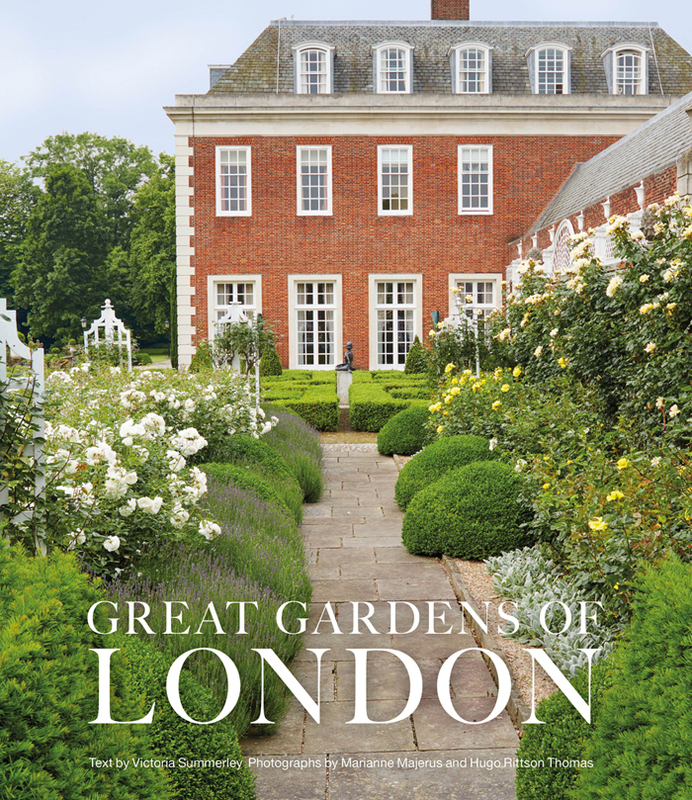 You can order a copy of ‘Great Gardens of London’ at the discounted price of £24.00 including p&p* (RRP: £30.00) by telephoning 01903 828503 or emailing mailorders@lbsltd.co.uk and quoting the offer code APG372. The competition is now closed. Thanks to everyone for taking part and the winner is Rej (entered via blog). Congratulations. Just read I haven’t won…. Again…. Sigh… Congrats to Rej! Sorry but next time maybe, eh? Yes please, count me in! thank you very much! Ooh ooh room for a littl’un? Oh go on then. Hold tight, squeeze in. Please count me in, looks inspiring for my small garden! Counted Lynn. Best of luck. I’d like to enter please – inspirational – even if our garden is a postage stamp in comparison! I hanker after a small garden, Karen. Good luck. Then you shall. Good luck. Name in the hat, Pam. Yes, please! Looks like a beautiful book to see me through the winter. Yes, please. As a Londoner, living in Cambridge, I would love to connect with the gardens of my home city. I would love to enter the draw – please count me in! Good luck in the draw, Sue. Name in the hat, Jon. Thanks Ruth and good luck. How timely you are, David. My big news is that, in March, we will be moving to, well, London! Gosh. Wasn’t in our game plan but an opportunity presented itself and it’s really quite exciting (if very sad to be leaving this amazing country). So, I’d really, really love to win that book! Yes please. I can just never have enough books to do with gardens . . . even if I can’t see my desk anymore! Yes please! As a keen gardener I would absolutely love this to do a bit of “armchair gardening” over the winter months. Name in the hat, Hayley. I would really like to win a copy of this book, the cover looks amazing for starters. Thank you. Sue. Yes please pop my name in your hat I also love to see more of those gardens that usually afford only a tantalising glimpse as we pass. I would like to enter the competition for the book of London gardens please, simply because I am nosy and want to see what they are like.